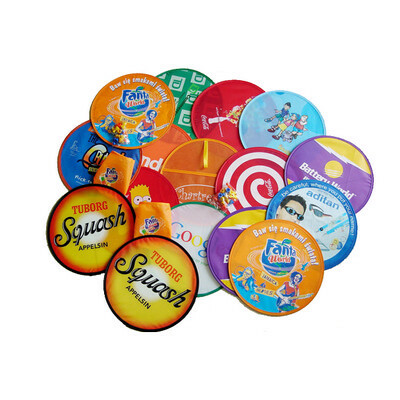 A fold out flying disc made from nylon and now available with full colour print. Perfect for fund raising, sport events or just to give aware to increase brand awareness. The digital imprint allows for photographic images to be reproduced into the disc making it a popular choose for promotions. Price below is for Full Colour Print on disc and bag with set up cost included. Price includes: Full Colour 1 Side. Setup is included.